WASHINGTON – U.S. 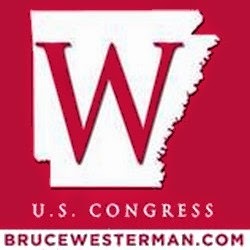 Senator John Boozman (R-AR) joined U.S. Senator Mazie Hirono (D-HI) to introduce legislation that authorizes federal homeless veteran programs. The Keeping Our Commitment to Ending Veteran Homelessness Act would ensure seven Department of Veterans Affairs (VA) and Department of Labor programs would continue to operate in the next fiscal year. Without action, authorization for critical programs that provide outreach and services to homeless veterans and their families would expire on September 30, 2016. “This legislation is essential to fulfilling our commitment to the men and women who served our nation in uniform. We can be proud of organizations in Arkansas and across the country that provide our veterans with the the tools and resources they need to rebuild their lives. This legislation builds on this foundation and continues the influential partnerships that our veterans rely on to get back on their feet. Preventing disruptions to these services must be a priority,” Boozman said. Healthcare for Homeless Veterans (HCHV): Through HCHV, VA medical center staff conduct outreach to homeless veterans, provide care and treatment for medical, psychiatric, and substance use disorders, and refer veterans for supportive services. Grants and Per Diem (GPD) for Homeless Veterans with Special Needs: GPD for homeless veterans with special needs targets GPD funds to specific groups of veterans, including women, elderly veterans, terminally or mentally ill veterans and veterans with children. Supportive Services for Veteran Families (SSVF): SSVF funds grants for supportive services to assist very low-income veterans and their families who are either residing in permanent housing or transitioning from homelessness. Eligible services include assistance with rent, utility or moving costs, outreach, case management, and help with obtaining VA and other mainstream benefits. Advisory Committee on Homeless Veterans: A committee created by law made up of veteran service organizations and service providers to provide advice to the VA secretary on benefits and services the Department gives to homeless veterans. Acquired Property Sales for Homeless Veterans: The VA is authorized to sell, lease, lease with the option to buy, or donate properties to nonprofit organizations and state government agencies that will use the property as homeless shelters for veterans and their families. Homeless Veterans Reintegration Program (HVRP): HVRP grantees provide services to veterans including outreach, assistance in interview preparation, job search, job training, and follow-up assistance after placement. A separate HVRP targets women veterans and veterans with children. Incarcerated Veterans Transition Program: Grantee organizations through the Incarcerated Veterans Transition program provide job training and placement services to veterans who are leaving prison. Boozman will discuss this legislation at the Project CHALENG (Community Homelessness Assessment, Local Education and Networking Groups) meeting in Little Rock next week where several organizations that provide assistance to homeless veterans will discuss outreach efforts. Tags: Senator, John Boozman, Introduces Legislation, Protect, Veterans Housing Programs To share or post to your site, click on "Post Link". This site is an Outreach of the ARRA News Service.